This first photo is a prime example of the fact that jewellery making is not always pretty – it’s a shot of my sketchbook with a few in-progress pendant designs. In fact, most of the process of creating beautiful jewellery (and most beautiful things) is pretty darn messy! It’s only the final product that emerges clean and beautiful from the making (my hands certainly don’t – I really should invest in some good hand cream, due to how many times I wash them every day!). Anyways, I didn’t pop in to talk about that – I want to share what I’m working on in my spare moments. Recently I’ve become fascinated with the idea of making asymmetrical designs. I thought I’d start out simple – with wire-based pendants. Can I just say how hard it is to come up with an aesthetically appealing asymmetrical shape? Well, I find it hard – my brain and hand just wanted to keep drawing symmetrical circles, squares and triangles. It took real conscious effort to draw something that didn’t conform to those traditional shapes. I also want to introduce more contrast into my range with the use of oxidised silver. 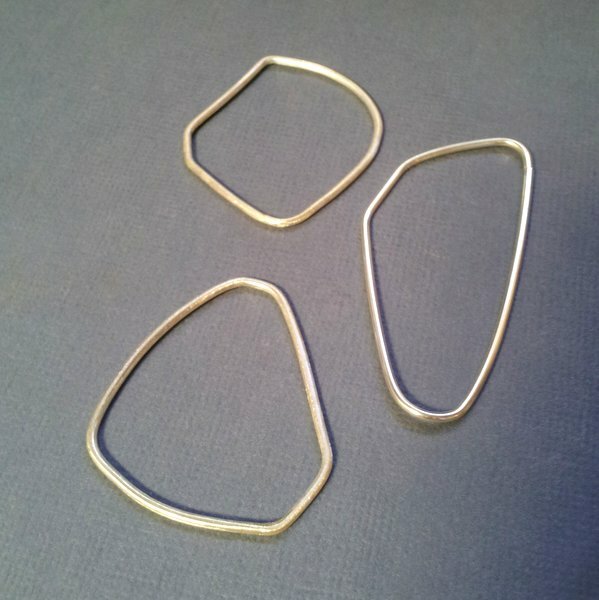 So, I thought I’d pair these brushed-finish silver pendants with an oxidised chain. 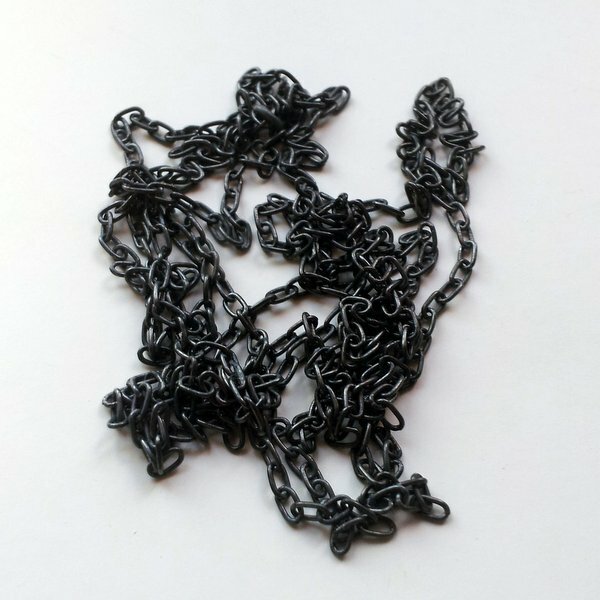 Here’s the chain I oxidised today. I love how the black metal glows! 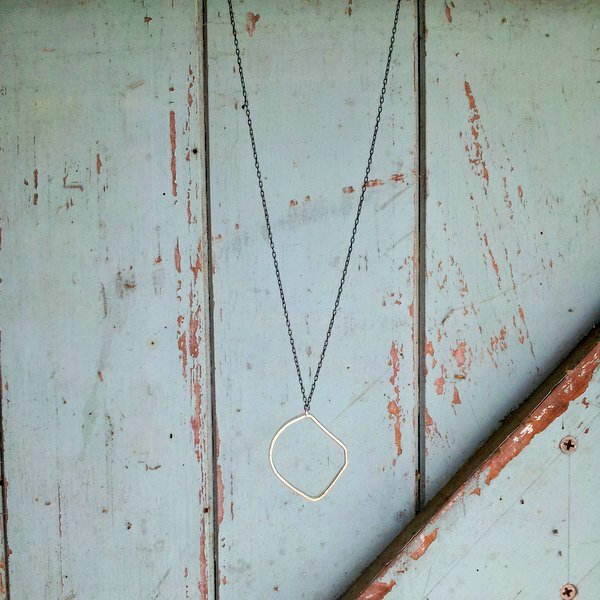 Here’s the first necklace put together… I decided to make them uber-long necklaces – something a bit statement-y! What do you reckon? 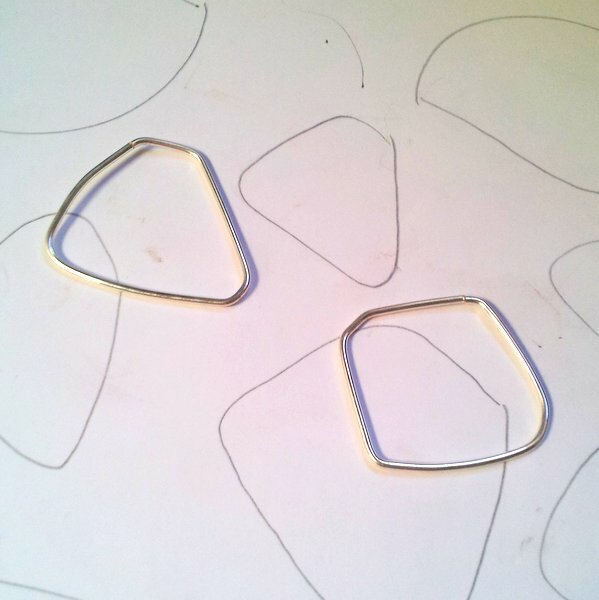 I’m also playing with the idea of switching the finishes around – having an oxidised pendant on a bright silver chain. I love the long shape & I like the mix of finishes – switched around would look good too I think. This is going to sound awfully critical but I’m not a fan of asymmetry. Give me symmetry any day. 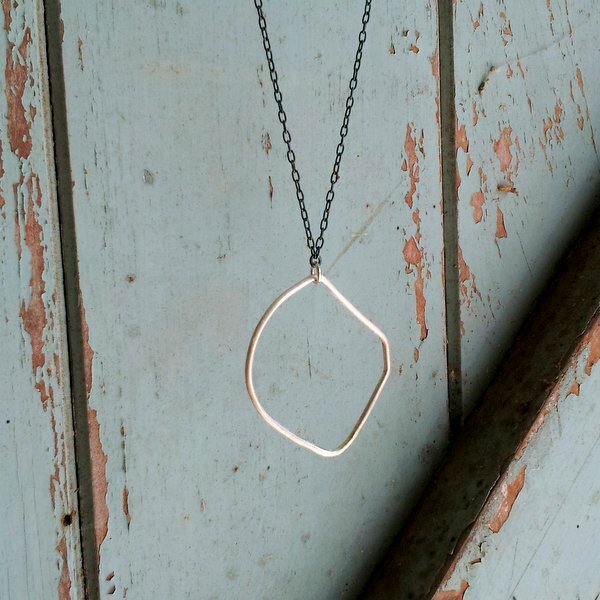 Jess I love the wide diversity and simplicity of all of your jewellery. I like the way you’re willing to ‘think outside the (jewellery) box’ too. You must have loads of inspiring innovative ideas percolating away.